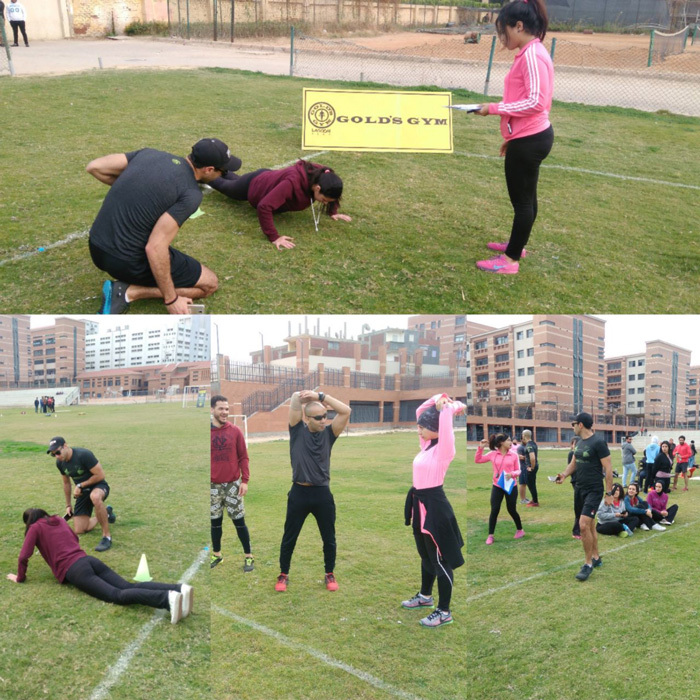 The Student Activities Department, in collaboration with Gold’s Gym, held a Challenge Day on Tuesday 12/12/2017 at the university playground. The Challenge Day included many sports like running, shot put, among others. The day also included a Zumba class at the student theatre which a considerable number of PUA female students participated in.